For those in love with our ol’ Melbourne town and interested in a little history lesson, then stop, sit down and take a look at this little treasure: Video footage taken of Melbourne life in 1910. These were the days when men and boys wore caps, trilbies, bowlers and boaters. Also noticeable are their fobs holding the pocket watches. Ladies wore large ostrich feathered hats and their dresses were full length. 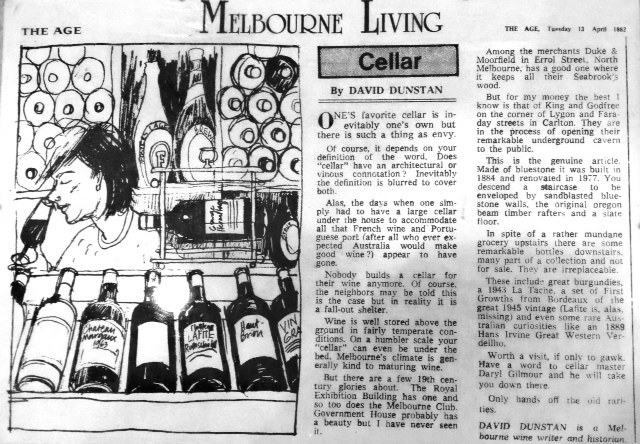 Flinders Street Station was busy as usual and Abbotsford Ale was the main brew in those days. The hills are alive…with music and wine. There are some who consider these two elements to hold a romantic link with one another. I could be referring to Alois Lageder in Trentino-Alto Adige playing classical music to his fermenting wines, or Shadowfax’s Matt Harrop playing Triple R radio non-stop to his stainless steel tanks. In this particular case, I draw your attention to a Sicilian producer called Tasca d’Almerita who forwarded this promotional video to me. However there is a twist. Instead of the traditional concept of playing music to wine…this talented group use the wine to make the music. It was the second day of Spring, a glorious, bright blue filled the wide open sky and the sun was brimming with warming rays. It was Father’s Day and I was down on the farm eating and relaxing with the family. This setting made me realise that it is not often enough that we get to celebrate a person we hold so dear and admire so much. In fact, they should be honoured, loved and cherished at every possible opportunity. So here I am with what I thought might be a lovely idea by commemorating the greats, the fathers, the gods, or more fittingly, the kings. Today I am simply sharing a beautiful quote and a 1964 clip that never fails to put a smile on my face. They both come from the great man, Signor Luciano Pavarotti. I want you to picture yourself sitting in a room, overcome with an insatiable thirst and your favourite wine is sitting before you. Now imagine that that bottle of wine is just out of reach. Frustrating, isn’t it? I need to be cautious of what I write on here because even though my nonni (grandparents) do not own the internet or a computer, my dear mother prints off all my posts and reads them out aloud to her elderly audience. Somehow I have not been disowned after all the confessions of my drinking, daydreaming and occasional profanities. So here is hoping that loving feeling they hold deep inside is strong enough to withstand some teasing. An excerpt from ‘Sleeping and Waking‘ [December, 1934] in F.Scott Fitzgerald’s ‘On Booze‘ notebook. My own experience with night pests was at a time of utter exhaustion – too much work undertaken, interlocking circumstances that made the work twice as arduous, illness within and around – the old story of troubles never coming singly. And ah, how I had planned that sleep that was to crown the end of the struggle – how I had looked forward to the relaxation into a bed soft as a cloud and permanent as a grave. An invitation to dine à deux with Greta Garbo would have left me indifferent. But had there been such an invitation I would have done well to accept it, for instead I dined alone, or rather was dined upon by one solitary mosquito. Precariously climbing barrels. 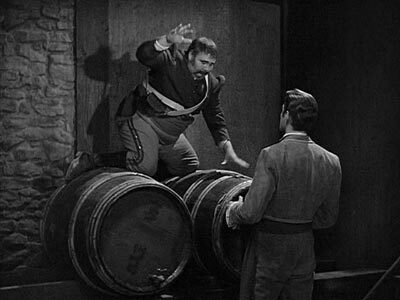 Scene from Zorro’s Romance.